HuntnFish has spent many years on the water fishing and has caught nearly every species of fish in Washington State. I don't know what it is about this odd looking crustacean scavenger that gets me so excited every year when the season rolls around. It may be the TV show we've all seen, but then again my trips are nothing like theirs. Or maybe its the thrill of pulling a heavy pot, not knowing if you've hit the crab jackpot, or if you're just giving another monster sea star a ride to the surface. Maybe it even has something to do with the burn of jellyfish stings on your hands because you forgot your gloves in the truck. Could it just be how amazing they taste dipped in garlic butter? Either way, one thing is for certain- I love crab season. 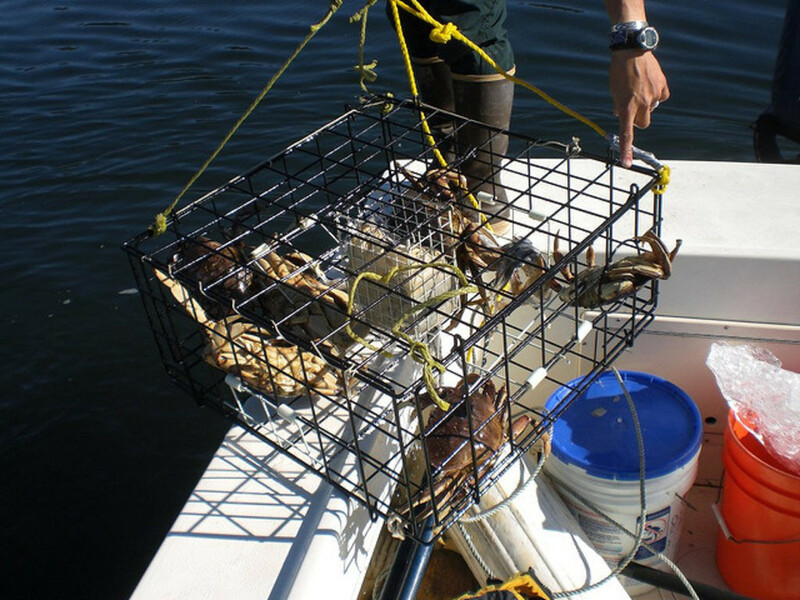 Now I realize that there are many ways to catch crabs: wading, diving, and casting to name a few, but as the picture up above would suggest, I will be concentrating primarily on traps. And with that, let's start with a rundown of some different trap types. Whats your favorite way to eat crab? Fresh out of the shell, nothing else. 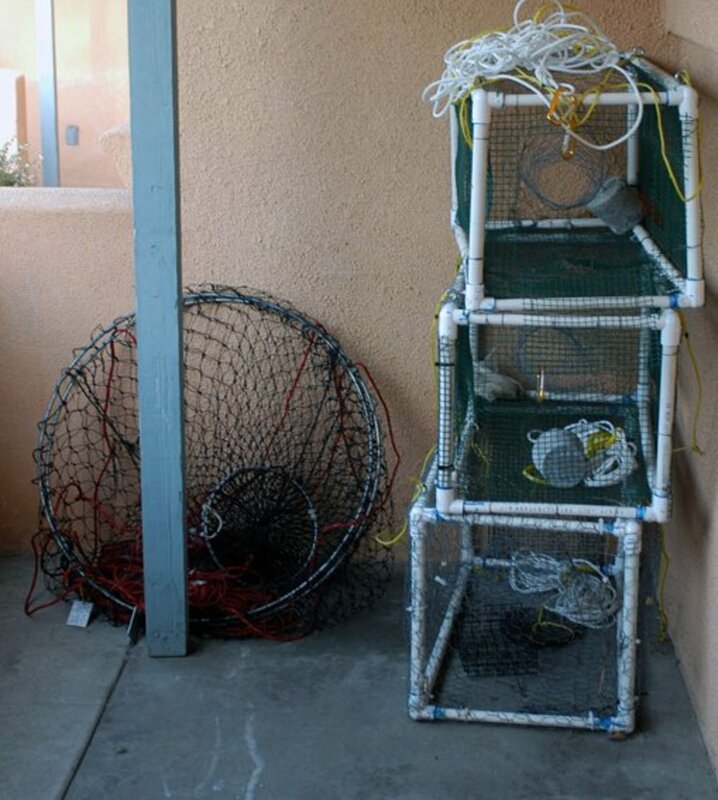 These are the simplest and usually cheapest of all crab traps. The consist of two concentric metal rings with tethers attached to the outer ring. Netting is attached covering both rings. When the trap in resting, it lays flat on the sea bottom. When the trap is pulled up the outer ring rises above the lower ring, creating a wall around the inner ring. In order to fish this style of traps effectively, a few things must be kept in mind. Rather than trying to attach the rope directly to the outer hoop, use a harness. These harnesses will attach to the outer ring in multiple places to ensure the outer ring is pulled straight up, rather than sideways. You could try to rig one of these yourself with some spare rope lying around the house, but they don't cost much. Additionally, use a float. These floats attach to the top of the harness and float the harness ropes up about the trap. 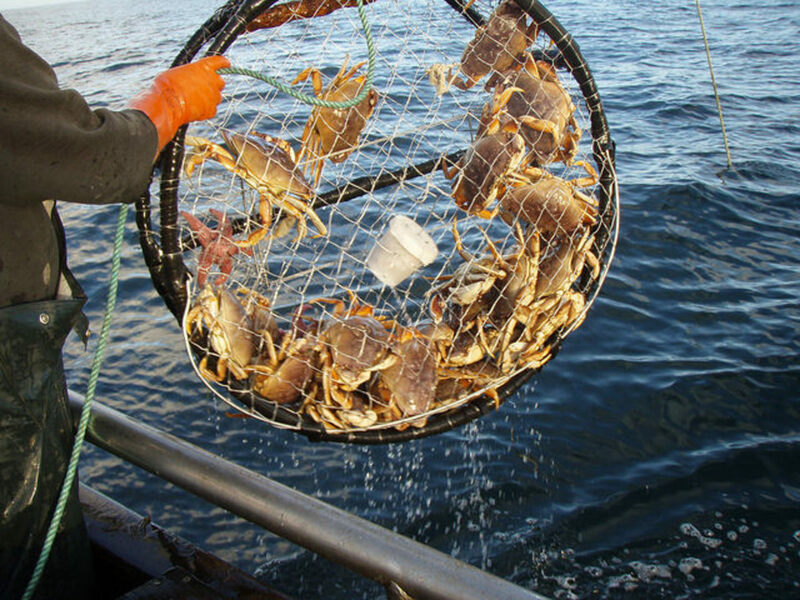 Without the float, the ropes will lie flat on the trap, and when pulled, any crabs who happen to be straddling the ropes will be tossed off the trap. Often these floats will be sold in combination with the ring; just make sure you have both. 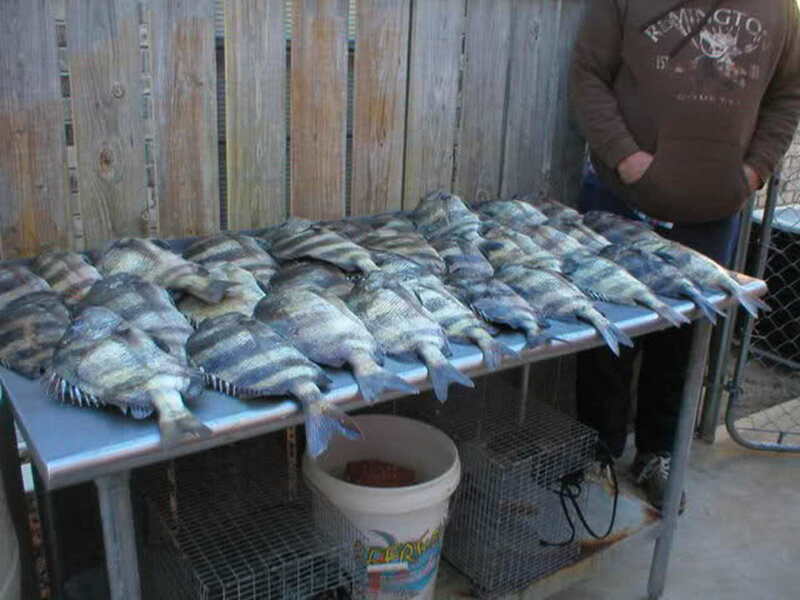 Ring traps fish much faster than any other pots. This is because the crabs can walk directly onto the trap without dealing with any ramps or doors. Of course, without these doors the crabs are free to leave whenever they want. Consequently, these traps should be pulled very often. The longest I will leave a ring down is maybe 20 minutes. Since rings draw in crab fast, I often use these to "scout" for potentially effective spots. When pulling these traps, you need to move quickly. 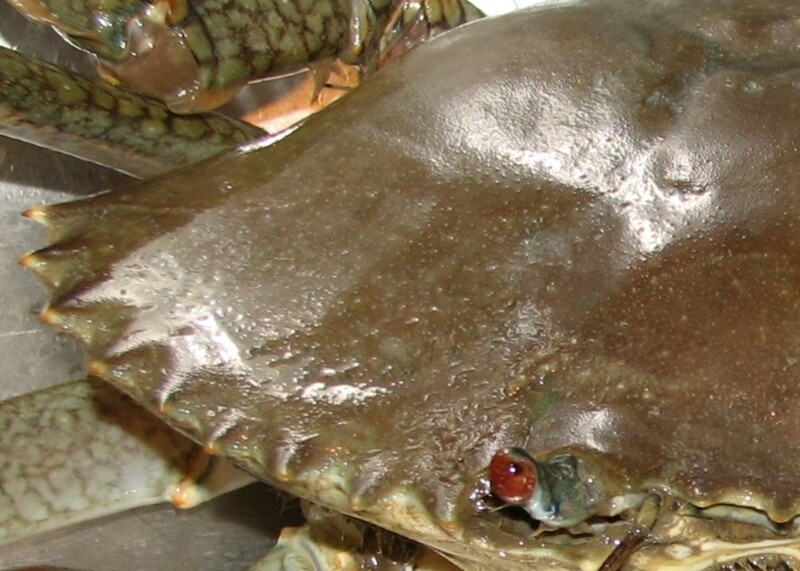 Crabs can swim fairly fast, and if you do not pull fast enough, they can swim right out the top. One last benefit of these traps is that they stack flat. When space is an issue (sometimes I go kayak crabbing), these make a lot of sense. These are a little hard to describe. They consist of two metal wire circles spaced ten or so inches apart by vertical metal posts. A cylinder of netting is attached to the bottom circle and then again to a metal ring which wraps loosely around the vertical supports. A harness is then attached to the free metal ring. The crabs can then run freely into the trap. 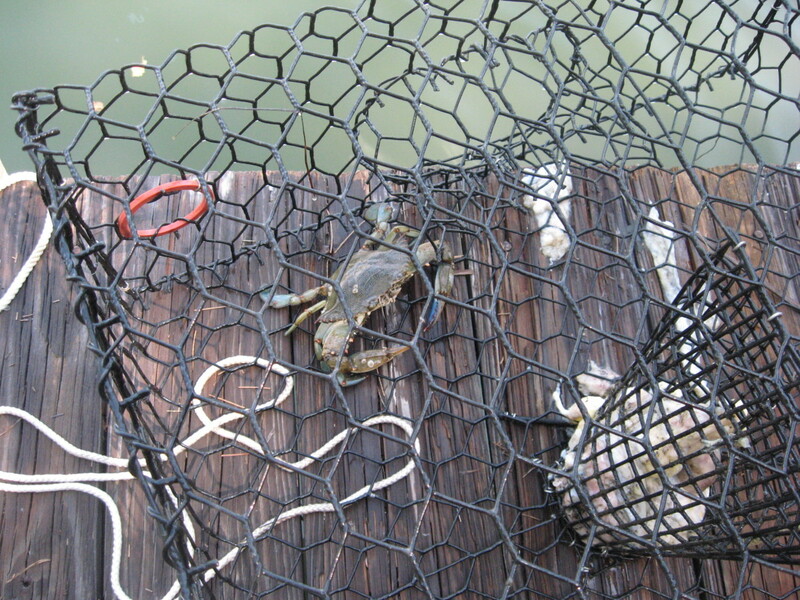 When the trap is pulled, the metal ring pulls of the netting, creating a complete enclosure. As far as function, these traps fish very similar to rings. The crabs are free to come and go as they please. The main difference is that once you begin to pull the trap, no crabs can leave. Much like the rings, these should be check fairly often. 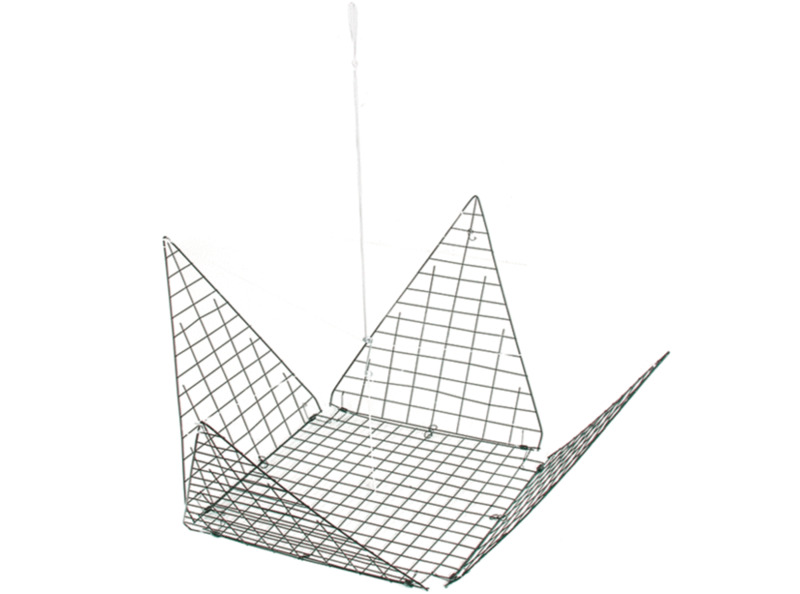 These consist of a metal mesh square base with four triangular sides. When lying flat, it take the shape of a four pointed start. When pulled, the four walls lift up, creating walls for the base and pushing all the crabs to the center. While I have never fished with this style of trap, I have spent countless hours untangling crossed and knotted lines on the display models when I sold them. In my opinion, there are just too many moving parts and most seem poorly weighted. My initial impression of these is therefore not a good one. If anyone has fished with this style I would love to hear what you think of it. I know this term is used broadly to classify most all crab traps, but here I am talking more specifically about door style traps. They come in all shapes and sizes. These traps are completely enclosed on all sides, with one-way doors being the only entrance. Once a crab is in, he is in for good, hopefully. The truth is, many crabs escape from these traps. Sure, the number is less than open traps, but its not zero. Doors can get propped open by other crabs, can get wedges open if the trap settles in the sand, sway open if the trap is resting unevenly on a rock or other debris, or even swung open by a strong current. The most effective style is therefore one with both doors and inclined ramps leading up to the doors. Spacing the entrances off the bottom of the trap eliminates many of the before mentioned issues. Additionally, look for traps with the most doors. More doors equals more crabs. One last thing I have been told, though never tested, is that circular traps are more effective. Apparently the crabs have an easier time circumnavigating a round object when looking for a route in than they do with a square object. Who knows. One definite plus, although it is not necessary, is a bungee operated hatch on the top of the trap to allow easy access inside. Those crab doors trap your hand almost as well as the crabs, and trying to pull an angry crab back out that door is even worse. These easy-open hatches will make checking and collecting crabs a breeze. Round or square though, these traps fish much more slowly than the ones previously listed. This is simply because the crabs have a harder time finding a way in. Once inside though, it is much harder for them to escape. As a result, these traps can be left out for a long time. A few thing to keep in mind: once the bait is gone, no more crabs will join the party. Also, some states have regulations regarding leaving traps out overnight. Functionwise, these traps fall into the preceding category, but since they are likely the most common of all traps, I figured I would address them separately. These pots are a collapsible version of a door-style trap. They are arguably one of the best values in crab fishing. They do have many shortcomings though, most of which can be fixed with rather inexpensive modifications. The first issue is durability. I find that these traps demonstrate Murphy's Law as well as anything. Since this trap is made to come apart, it will, and usually when you least want it to. Unless the collapsible feature is a definite must have for you, I would suggest using a pair of pliers to pinch each of the attachment points to ensure the thing stays in one piece. In the case that you want to be able to fold them down in the off season, try using zip ties to assist with support. These will hold the pots firmly together, and can then be cut at season's end, allowing the trap to be folded up and stored conveniently. And now for another piece of "Can that Really Make a Difference?" information. Steel rebar oxidizes in water, and even faster in salt water. The result is an electric cell which produces a net voltage. I have been told that this voltage wards off crabs. Many animals, including salmon and sharks, are attracted to such electric signals as they use them to sense prey; apparently crabs think the other way around. Or maybe it doesn't make a difference, believe whatever you like. If you subscribe to the belief that the crabs are scared by this net voltage, just leave any metal weights outside until they completely rust over before tying them to your traps. Problem number three: the doors. The doors are much too light and do not swing freely enough to work effectively. Three fixes for this one. Weight the doors. Again, no single right answer here. I thread big lead fishing weights over the metal wire. Do whatever you like, just add something. Pry open up the "hinges" that fold over the side of the trap. You don't want to open them to he point where they fall off, just enough to let them swing more freely. Clip the bottom pegs of the gate off so they only cross the "stop" on the side by a half inch or so. The crab is not going to muscle out of the cage; this extra metal just makes it easier for the doors to get accidentally propped open. So get rid of it. Problem number four: the tie-on. While a harness is not as necessary here as it is on ring traps, it will help. If the crabs inside are unevenly weighted (which they will be, every time) when the trap is pulled up, it can tilt sideways allowing doors to swing open. Any make-shift harness will work: three-point minimum here. That was a lot of writing for four three-minute fixes. But even after buying the extra things needed to spiff these traps up, they are still much, much cheaper than comparable traps. These modifications have definitely improved my catch totals when using this brand of traps. Danielson 4 Door Traps are a year-after-year best seller. Back when I worked at the fishing shop, we struggled to keep them in stock throughout the season. You can certainly spend more on a trap, but these get the job done at an unbeatable price. The following are tips I find helpful no matter what style of trap you are using. Anything works. A lot of people use chicken. Fish guts are a good one. Old frozen herring that no salmon would ever conceive taking a bite out of that your wife keeps telling you that you really need to get out of the freezer because they are absolutely putrid but you don't want to waste them- well here's a chance to make them work. Whats your favorite crab bait? These are key. For starters, this eliminates tying bait to the bottom of the trap, which never seemed to work very well anyway. This is especially nice if you are dealing with some pretty rancid bait like fish parts. Just toss them in and clip it shut. Some new traps even come with built in bait boxes now. 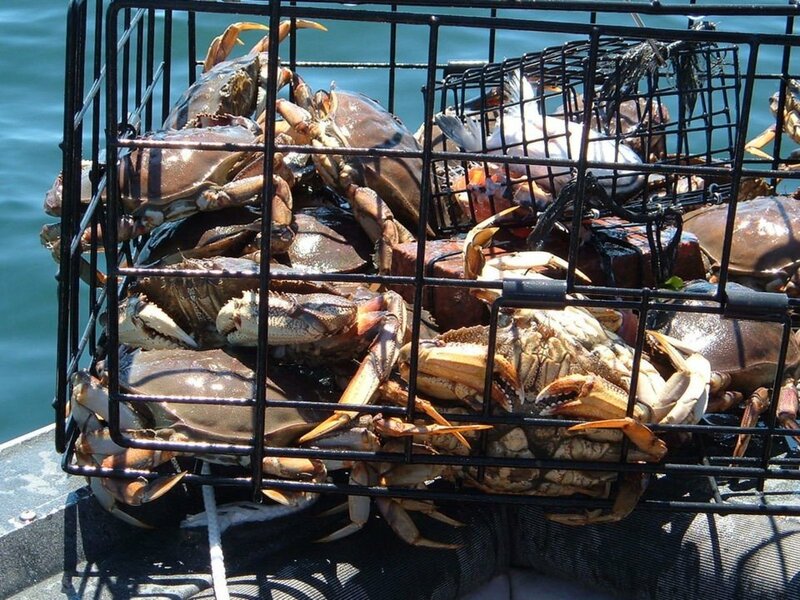 Bait boxes also prevent the crabs from completely devouring the bait all at once. They are open enough to allow for little bites here and there to keep the crabs happy, but closed enough to keep your bait working all day long. In most traps, I find it more effective to stand the bait boxes upright, as this maximizes floor space. One might be tempted to affix the bait box to the inside ceiling of the trap to allow even more room, but this allows crabs to crawl onto the outside top of the trap and feed without entering the trap- not what we want. 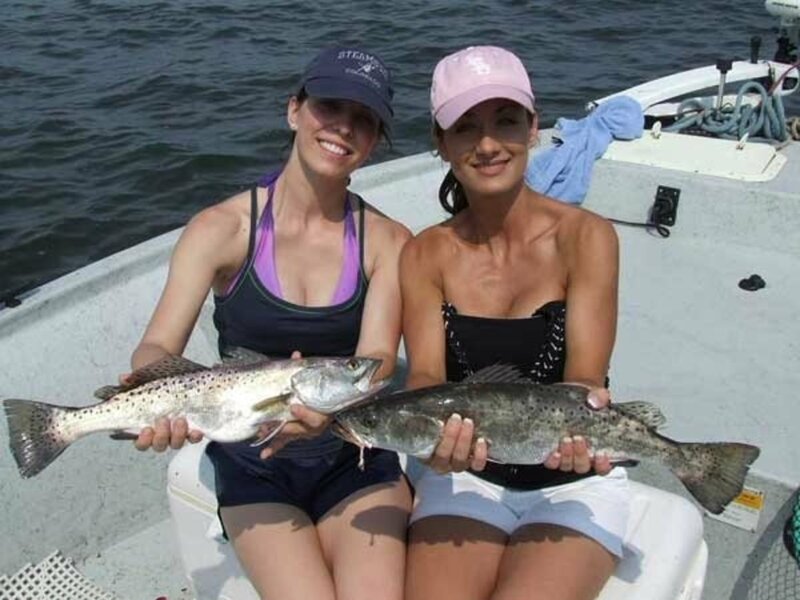 Bait Boxes- A Must Have! 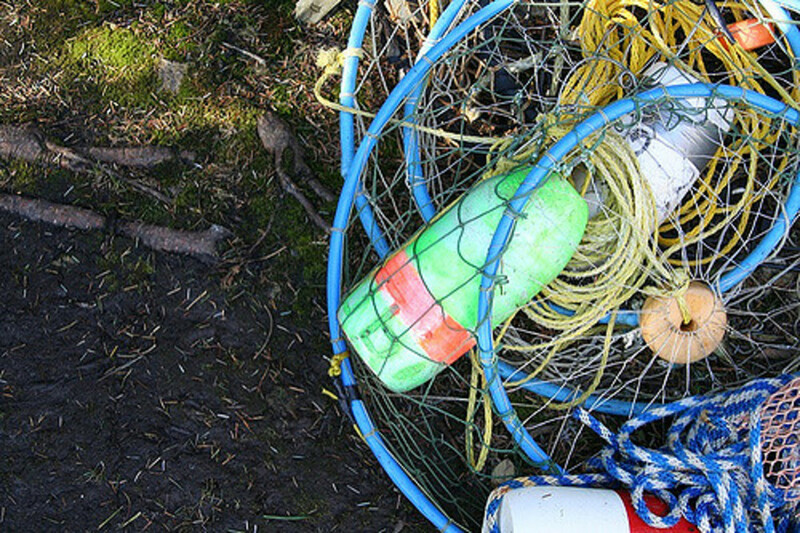 Bait boxes are often overlooked by first-time crabbers. Once you use them, you'll realize how crucial they are. Bait boxes allow crab to smell the bait, but restrict their ability to eat it, meaning more time with bait in the water. If the first couple crabs in the pot devour all the bait, crab will stop entering the trap. Additionally, its much simpler to just stuff the bait in the box and clip it closed than to try and tie each chicken leg to the inside of the pot. When I drop my pots, I first wait for the pot to hit bottom, then repeatedly lit and drop the pot in the sea bottom. This not only ensures a good, solid, flat resting place, it churns up the surrounding water. Small bits of food that were sitting on the bottom, along with bits of food from inside the trap drift up and away attracting any crabs in the area. All right, this one's obvious. It's just one of those things I often forget so I thought I would mention it. These prevent jellyfish stings from tentacles wrapped around your rope, along with alleviating some of the pain that comes with handling crabs. While this topic alone could probably be its own book, I'll try to keep it simple. As far as where, I stick to the edge of eelgrass beds. If you have a quality fishfinder that can interpret bottom type, this can assist in finding good drop spots. 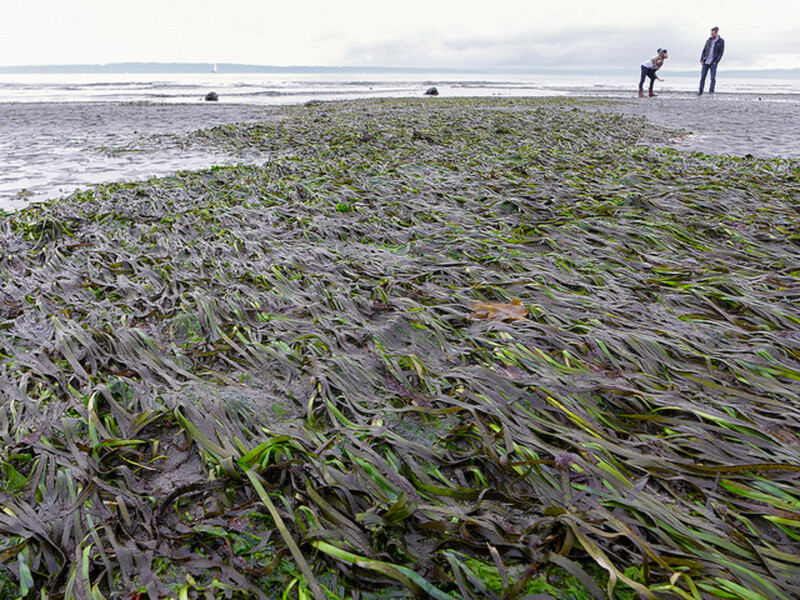 In case you don't, just look for stems of eelgrass and other debris floating on the water's surface and drop there. Usually if there's eelgrass nearby, you will have some on the trap when its pulled. The crabs hang out in the grass so that's where the pots should be. As far as when, it seems like slack-tide is a favorite, and I would have to agree. This is the roughly one-hour time slot on each side of the high and low tides for the day (one hour on each side equals a two-hour time slot). At this time the tide is moving the slowest, allowing scavengers, like crabs, to roam around and look for food without needing to fight the current. This is only a general rule though, crabs can be caught anytime. I rarely plan my crabbing trips around the tide (though fishing is a different story). I definitely suggest using leaded line. Leaded line is more expensive, but means you wont have to worry about using line weights. And in some areas its required by law. All right, so this isn't a tip for getting more crabs, it's a tip for not getting a fine. Crabbing regulations are pretty strict, at least where I'm from, and therefore it's a good idea to read up. I'm not even going to start to list the rules as they may be different in your area, and very well could change in my area. Things to check: On which days can I crab? How many pots can I have on board, or per person? What kind of buoy do I need? What kind of rope can I use? What features must my pots have (things like release gates in the case your pot gets lost)?. 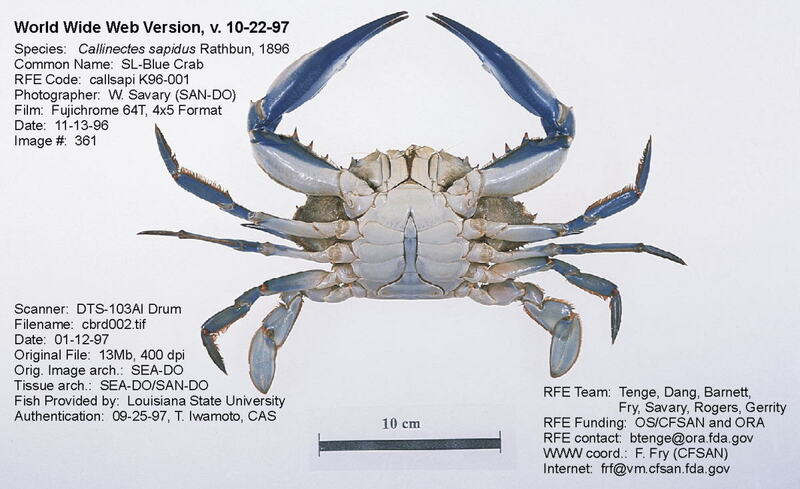 Also make sure you have a crab measurement device on board, and know how to identify the gender of crabs and whether they are molting. These are all topics best researched with your local fish and wildlife agency. If you have all the gear you need now, go ahead and skip this part. After spending a summer selling fishing gear, I cannot even begin to tell you how high the demand for traps, ropes, buoys, and rings is in the weeks leading up to the opener. We were completely sold out and back-ordered for a month, and every third phone call was looking for Danielson pots. So don't let this happen to you. Don't wait for the last minute to shop for gear. Well this turned out to be longer than I imagined, but that's a good thing, more for you guys to read up on. I really hope that you found this helpful and that your next crabbing season is a productive one! I'd love to hear how it goes! A Very Full Pot of Dungeness Crab! This is good stuff! Thanks for writing! The hubs is out dropping the pot right now, so we'll have to put this stuff into practice on our next throw in. A couple questions: when crabbing from the doc, does this effect the time of day that is best to crab? We unfortunately don't have a boat so we are throwing off the doc. Yesterday I think the tide was too low because the water was shallow enough we could see our pot and watch as no crabs crawled in. 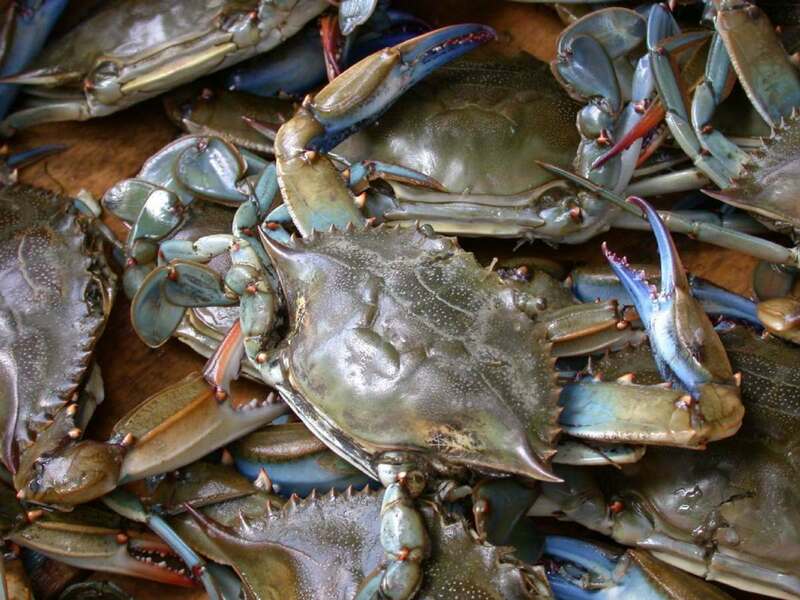 Should we stick to crabbing at (or near) high tide? Also, would you recommend mesh bags or bait boxes? We are using a mesh bag with chicken and cat food slathered with lots of smelly jelly. We have a Dainelson pot and I'm off to modify it as you suggested as soon as it's time to pull up. How long do you suggest we leave it? We are crabbing on the Oregon coast for Dungeoness. Thanks again! Excellent write-up!! Thank you from East Vancouver Island. Nope, not married haha! Someone sure took notes as they were reading! I guess the only thing you're missing there is there have got to be crabs where you drop the pot, but so long as you don't drop the pots in your bathtub I think you've got a mighty good shot at having a some good pulls. Thanks for the comment! This is very interesting hub. This is really good. Sums up my 6 hours plus of crab pot shopping, tips, bait, everything. A little more elaboration on the rebar might be nice. I read some where if you put the rebar in a pvc pipe it wouldn't electrolysis or whatever. Also crab bait box cages vs mesh bait boxes? Can I set my trap down in eel grass and if so will it set down unevenly? Should you set the trap infront of (closer to shore side) or behind eel grass croppings? Optimum depth? And if I plyer my danielson collapsiple shut how will I reach the baitbox? Other than that, which should be as little of a con as a con can be, fantastic. I wish I could have started my search and research with you hub page.